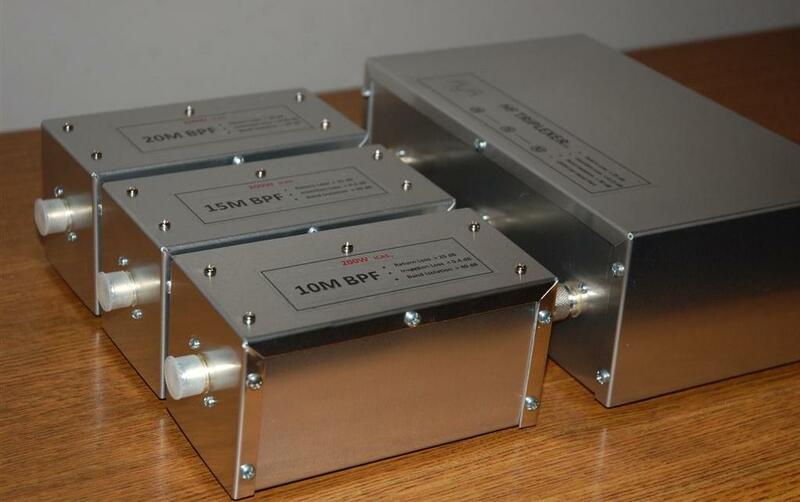 Total Triplexer with BPFs band Isolation is better than -70dB. Isolation between 10 and 20 meter band > -100 dB. Photo below shows the set where BPFs connected to the Triplexer with UHF M-M adapters. Coax cables can be used as well if it is more convenient for installation. 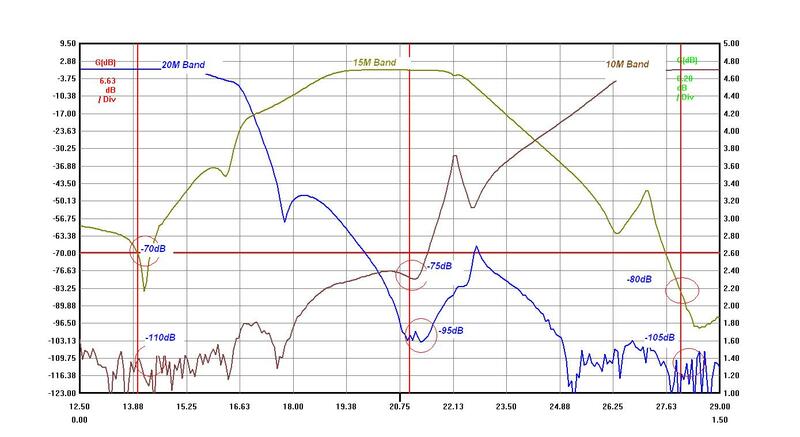 Below is the band isolation graph showing all three bands. Please, see how much band isolation do you need on this SO2R webpage.